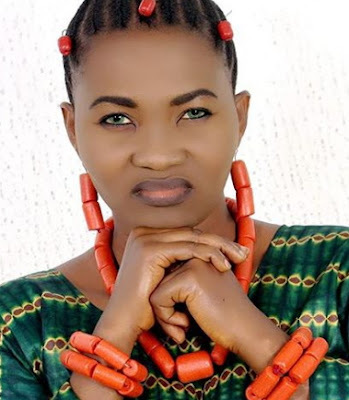 It is no longer news that Nollywood actress Yewande Adekoya was arrested and placed under house arrest in the US, however her attempt to deny the report has backfired as an insider who was aware of her arrest is threatening to dig out more information about her. Her denial did not change a thing as most Nigerians in Atlanta were fully aware of her arrest. According to NaijaGists.com source, at some point, the actress was made to consult with some lawyers who took over the case in a bid to press further her innocence. The insider said as a matter of fact the actress cried her eyes out when Atlanta Police stormed the home of her host. The source even challenged the actress to consult Atlanta police if she really wants to go after those allegedly tarnishing her image. Since Yewande’s alleged arrest, her husband Abiodun Ishola Thomas has taken over her social media accounts. He reportedly posted a disclaimer about her arrest on behalf of his wife on Instagram last night. Why is she bothering herself. Let her stay over there now. Yes she was not physically arrested but was confined to her sister home. They will release her if soon I believe. Kindly help with the exact area/municipality/county she was arrested. I mean where her sister lives. She’s denying this and has threatened to sue bloggers. SHe has been threatening fire and brimestone on journalists. She calims not to have travelled in 2017 to the USA and that she was denied Visa.